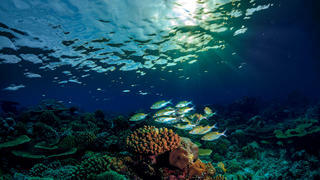 Taking place at the Royal Geographical Society in London on June 13, the inaugural Ocean Talks will bring together some of the world’s leading marine scientists, environmental activists and superyacht industry experts to discuss the importance of protecting our oceans, methods for tackling the plastic pollution crisis, celebrate successes so far and consider how we can continue to save our waterways. Click here to register to attend and read on for an exclusive preview from three of our top guest speakers. Oceanco’s 106.7 metre Black Pearl is one of the world's most advanced and eco-friendly superyachts, offering true zero-emissions cruising. While ultra-modern engineering and technology keep her environmentally friendly, her crew take much simpler measures like using canteen water bottles and re-filling from a dedicated drinking water tap in the crew mess. Chief Officer AJ Sutherland wants to see more being done to reduce plastic waste. “For a yacht with 25 crew who are all meant to drink three litres a day, that’s six bottles of 500ml x 25 = 150 a day, 1,050 a week, 55,000 bottles a year – one yacht! “I have had the privilege of going to some of the remotest beaches in the Pacific – little atolls in the middle of nowhere. In the last 10 years I’ve never walked along one without seeing at least one flip flop or plastic water bottle on the beach line”. Oceanco’s 106.7 metre Black Pearl is one of the world's most advanced and eco-friendly superyachts, offering true zero-emissions cruising. While ultra-modern engineering and technology keep her environmentally friendly, her crew take much simpler measures like using canteen water bottles and re-filling from a dedicated drinking water tap in the crew mess. Chief Officer AJ Sutherland wants to see more being done to reduce plastic waste. “For a yacht with 25 crew who are all meant to drink three litres a day, that’s six bottles of 500ml x 25 = 150 a day, 1,050 a week, 55,000 bottles a year – one yacht! “I have had the privilege of going to some of the remotest beaches in the Pacific – little atolls in the middle of nowhere. In the last 10 years I’ve never walked along one without seeing at least one flip flop or plastic water bottle on the beach line”. 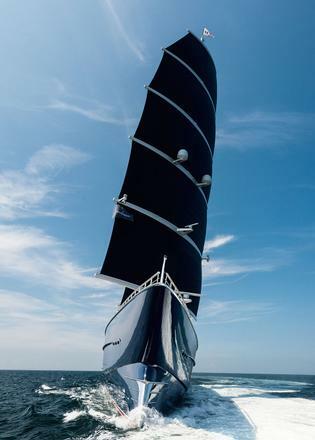 AJ believes that the yachting community has the means to get involved and make the necessary changes when it comes to use of plastic, but needs to become a driving force and lead by example. 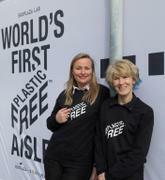 In January 2017 Sian Sutherland and A Plastic Planet co-founder Frederikke Magnussen, both self-confessed plastic addicts, launched a campaign for A Plastic Free Aisle in supermarkets. At the Ocean Talks Sian will be discussing her most recent project, the Plastic Free Consumer Trust Mark and One Plastic Free Day, and explain why she wants to ignite the world to turn off the plastic tap. 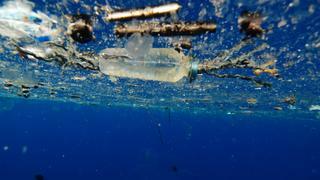 Here’s why she thinks the Ocean Talks are a vital step forward… “Our passion for the ocean has been the catalyst for enormous change in how we perceive our use of plastic. This will now affect the entire world - our soils, our air - as we learn to reduce our plastic dependency. 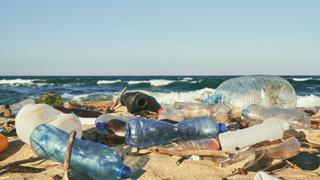 “The boating community, those that use and love the ocean for their work or pleasure; must lead the way in showing the world how we can dramatically reduce plastic pollution”. “Our passion for the ocean has been the catalyst for enormous change in how we perceive our use of plastic. This will now affect the entire world - our soils, our air - as we learn to reduce our plastic dependency. “The boating community, those that use and love the ocean for their work or pleasure; must lead the way in showing the world how we can dramatically reduce plastic pollution”. “Collaboration is the only way we can make change happen. We created this mess together; we must solve it together. “The Ocean Talks will empower consumers - the public - to feel part of the solution rather than part of the problem. There is always more to learn and we look forward to encouraging others to think more about actual plastic reduction versus plastic recycling”. “Collaboration is the only way we can make change happen. We created this mess together; we must solve it together. “The Ocean Talks will empower consumers - the public - to feel part of the solution rather than part of the problem. There is always more to learn and we look forward to encouraging others to think more about actual plastic reduction versus plastic recycling”. 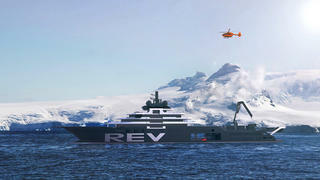 Vard’s 182 metre explorer yacht REV is not only the largest in-build project in the world, but is also expected to break barriers in the field of marine science and research. As such, talks from her designer Espen Øino and project manager George Gill will be a key highlight at the upcoming Ocean Talks. “We will be talking about the commitment of an avid yachtsman and professional seafarer towards the preservation and protection of the oceans and life within it. The scale and the ambition of the programme and the very story of the man behind it; a dyslexic fisherman’s journey from the wild west coast of Norway who became the head of one of Norway’s most successful companies and his commitment to the Giving Pledge of which the REV Project is a part. 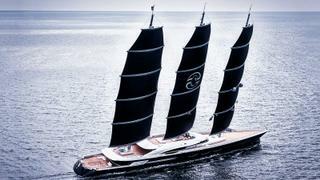 Øino wants to see the superyacht industry and marine conservation world come together. “The boating and yachting community is already concerned as they are directly affected when enjoying their watercrafts but we really feel all marine communities should rally together for the greater good of the world’s oceans and our own survival”. As executive director of the Khaled bin Sultan Living Oceans Foundation, Phillip Renaud has spent the past five years circumnavigating the globe, mapping and surveying coral reefs to stem the rapid decline in coral reef health worldwide. At Ocean Talks he will be giving guests a peek inside the work of the foundation and the fascinating insights he has gained during his time there. “As an avid yachtsman and scuba diver, Prince Khaled was inspired to create a non-profit Foundation to provide scientists with access to remote ocean regions and equipment resources which empowers them to better understand ocean processes”. Prince Khaled’s 66.75 metre Golden Shadow was custom built to be a shadow boat for his private yacht. By design, it is a tough, ocean-going, shallow-draft, work boat with abundant berthing facilities – a perfect research vessel. “Prince Khaled noticed the potential for his boat to serve as a great platform for scientific research and he donated the ship to science whenever he wasn’t personally using it. That was the genesis for our ambitious Global Reef Expedition which we successfully conducted from 2011-2015. The results we are now producing out of this monstrously large dataset has huge potential to positively impact coral reef conservation around the world”. As executive director of the Khaled bin Sultan Living Oceans Foundation, Phillip Renaud has spent the past five years circumnavigating the globe, mapping and surveying coral reefs to stem the rapid decline in coral reef health worldwide. At Ocean Talks he will be giving guests a peek inside the work of the foundation and the fascinating insights he has gained during his time there. “As an avid yachtsman and scuba diver, Prince Khaled was inspired to create a non-profit Foundation to provide scientists with access to remote ocean regions and equipment resources which empowers them to better understand ocean processes”. Prince Khaled’s 66.75 metre Golden Shadow was custom built to be a shadow boat for his private yacht. By design, it is a tough, ocean-going, shallow-draft, work boat with abundant berthing facilities – a perfect research vessel. “Prince Khaled noticed the potential for his boat to serve as a great platform for scientific research and he donated the ship to science whenever he wasn’t personally using it. That was the genesis for our ambitious Global Reef Expedition which we successfully conducted from 2011-2015. The results we are now producing out of this monstrously large dataset has huge potential to positively impact coral reef conservation around the world”. “I always feel the stress of the world melt away as soon as I get near, on, or underneath the surface of the ocean. The power, majesty, and beauty of our world’s oceans and waterways never ceases to amaze me, and boats give us the freedom to explore our watery world.